This November, Scream Factory unleashes a great double dose of the master of horror when the new John Carpenter Presents Body Bags Collector’s Edition Blu-ray + DVD combo pack arrives on November 12, followed one week later by John Carpenter’s classic siege thriller Assault on Precinct 13 Collector’s Edition Blu-ray on November 19. Read on for the full announcement of both releases from Scream Factory! 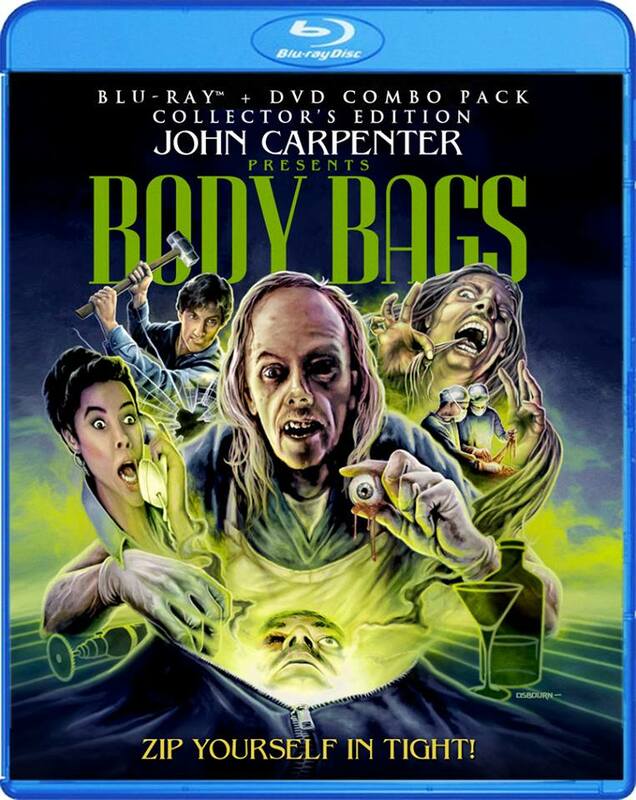 For the first time on Blu-ray, John Carpenter Presents Body Bags features John Carpenter as a creepy-looking coroner introducing a trilogy of blood-curdling tales: “The Gas Station” (starring Robert Carradine, Revenge of the Nerds and Alex Datcher, Passenger 57), “Hair” (starring Stacy Keach, The Bourne Legacy), and “Eye”(Directed by Tobe Hooper, Poltergeist, and starring Mark Hamill, Star Wars). With special appearances by Deborah Harry (Scarface), Sheena Easton (Miami Vice), Twiggy, David Naughton (An American Werewolf in London), John Agar (Tarantula), David Warner (The Omen) and cameos by notable horror film legends Wes Craven (A Nightmare on Elm Street), Tobe Hooper (Lifeforce, The Texas Chainsaw Massacre), Sam Raimi (The Evil Dead), Roger Corman (House of Usher) and Greg Nicotero (The Walking Dead), this pulse-pounding horror collection delivers a fright-filled night of terror to remember. This must-have collector’s edition features an uncut anamorphic widescreen presentation of the film (for the first time both on DVD & Blu-ray) and is packed with exciting bonus content, a collectible cover featuring newly rendered retro-style artwork and more. Delivering more terrifying perils and action suspense, John Carpenter’s acclaimed pre-Halloween thriller Assault on Precinct 13 all-new Collector’s Edition Blu-ray hits home entertainment shelves everywhere on November 19 from Scream Factory. 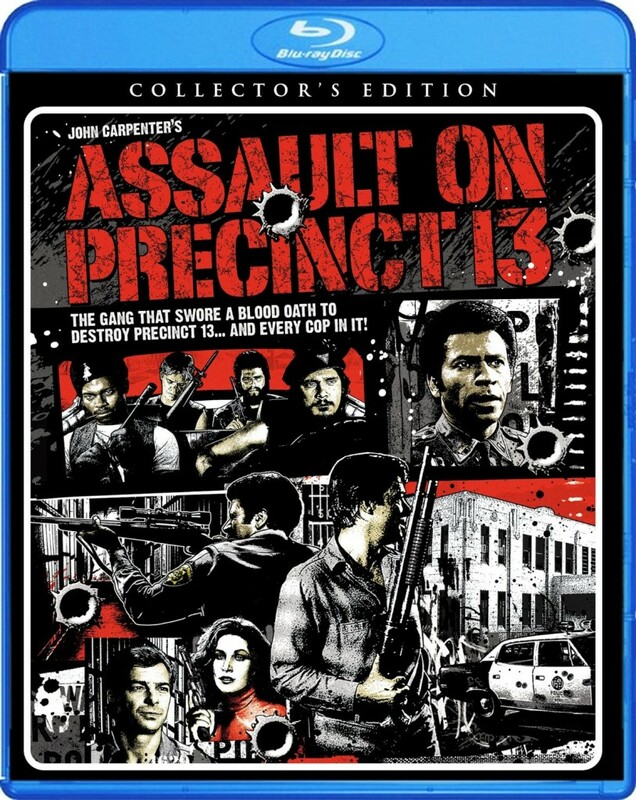 This definitive edition release of Assault on Precinct 13 boasts a bounty of all-new special bonus content, a collectible cover featuring newly rendered retro-style artwork, a reversible wrap with original theatrical key art and much more! Pre-order Body Bags here or here / Pre-order Assault on Precinct 13 here or here.